Looking at buying a home with the opportunity to make an income from an adjoining self contained townhouse whilst living here, this is the home for you. Alternatively a great spot for extended families, where a parent or older siblings could reside. Consisting of an amazing six bedrooms, three bathrooms, 2 laundries and 2 kitchens this property is spread over 3 levels. Each level offers entertainment spots and even a balcony with views of the valley, hills and beyond. Ground level leads to a reticulated bore garden area with 6 different fruit tree varieties, garden beds and even a bunker style wine cellar/ man cave hideaway. It is currently set up as a self contained two bedroom, kitchen one bath one living area, with a tenant paying $200 per week. 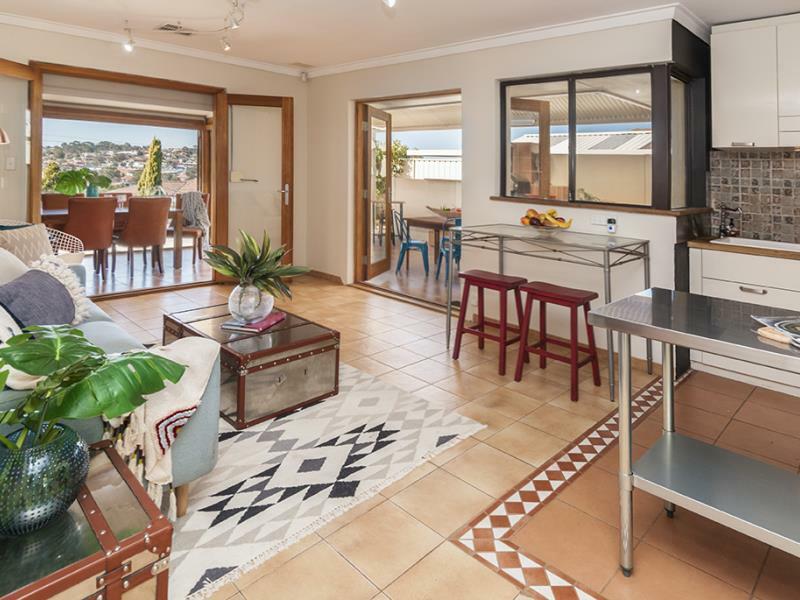 The other half of the property consists of four bedrooms, 2 bathrooms a gorgeous open plan living area and balcony with views and was tenanted at $460pw. 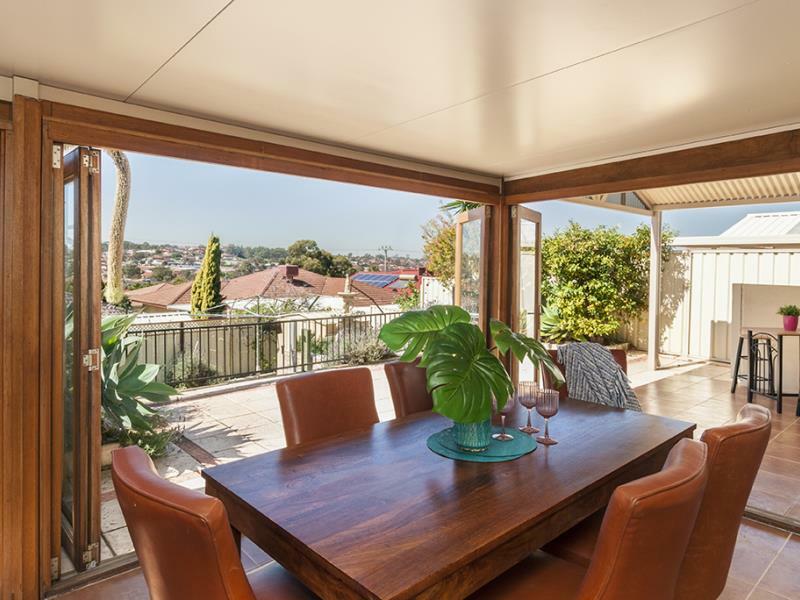 The dining area has timber bi - folds that lead onto the balcony making for an awesome alfresco entertaining area for all the family to enjoy with pizza oven and butchers block and built in sink. 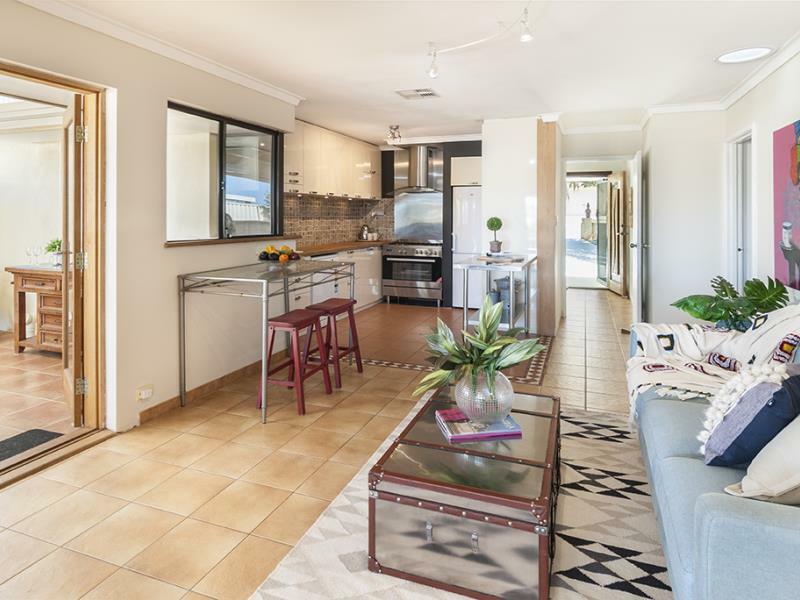 The master bedroom to the front of the property is spacious and bright with a recently renovated ensuite boasting twin showers and full height tiling. Large built in mirrored slide and cupboard style wardrobes in every bedroom. Flooring consists of tiles and wood flooring look throughout. Ducted reverse cycle air conditioning, ceiling fans and split system air conditioning. Plenty of clever storage throughout and underneath staircase. Double secure garage and off street parking space for 5 cars.